Welcome to the Olde Barn which has plenty of room for living. The main entry leads into a cathedral kitchen and living room. 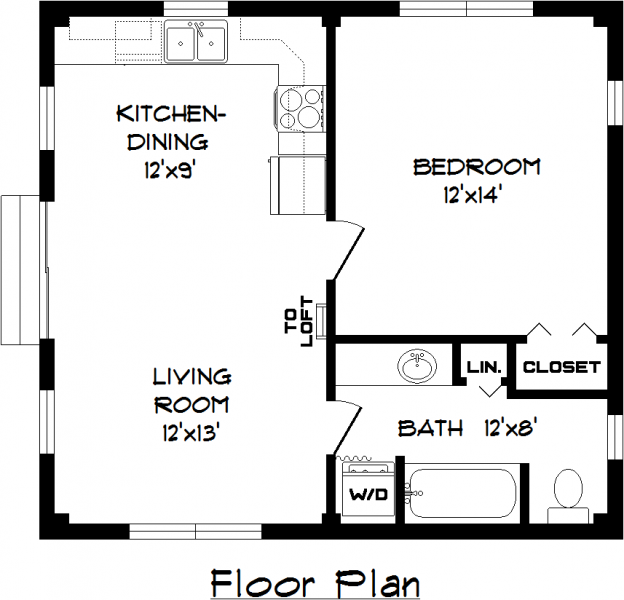 The large bedroom has plenty of natural light and a closet. The large full bath includes a linen closet, an extended counter and a laundry area which are very convenient. A ships ladder leads up to a large loft area which may be used as a second bedroom or as storage and utilities. 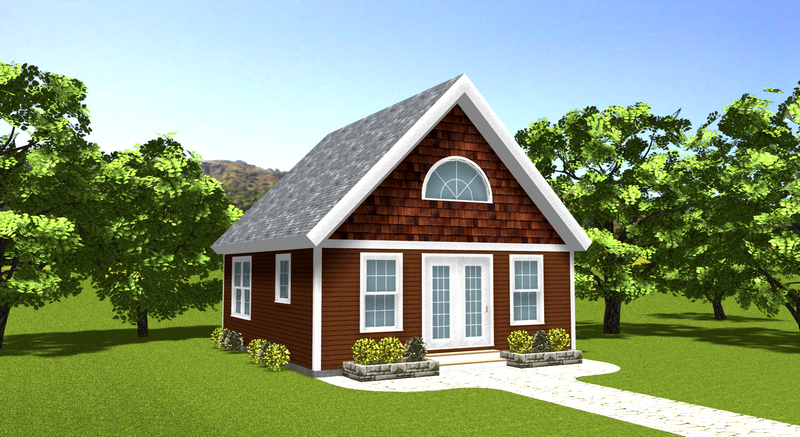 This barn design is very simple and yet very roomy. The beauty and strength of our timber frame is evident in this Hampshire Olde Barn.